New Par-Kan covered baggage cart, model OCBC 5010, is built using heavy gauge steel and protected by a tough powder coat finish. 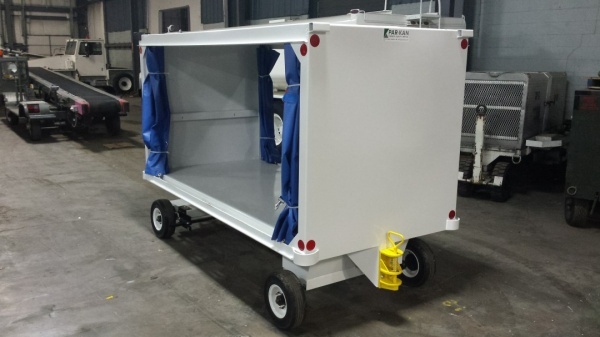 This covered baggage cart utilizes fifth wheel steering with full 360-degree rotation and is highly maneuverable in tight spaces. It also features an ergonomic torsion relief tow bar that when released, will not hit the ground. 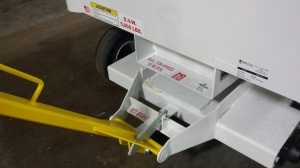 Another feature of this cart is its tow bar activated braking system, which applies the break with the use of the tow bar. This cart is fully assembled with vinyl curtains on each side, an E-style rear hitch, and pneumatic tires. 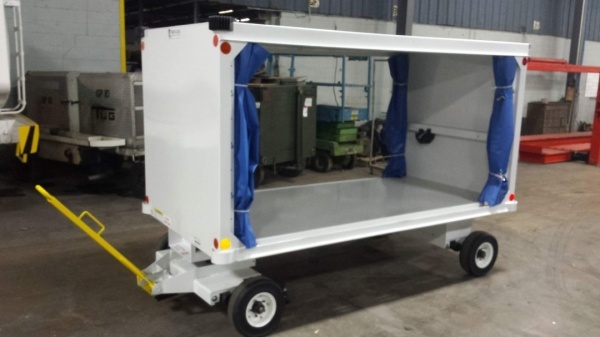 The OCBC 5010 cart is ready to hit the ground running upon delivery and is backed by a one year manufacturer’s warranty.